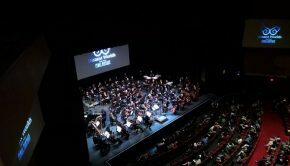 I’m not entirely sure how the organizers behind Distant Worlds – Music from Final Fantasy were able to pull off two shows in a single day at the New Jersey Performing Arts Center, but I’m really grateful they did. The renowned videogame orchestral concert played its 103rd and 104th performances at the venue, and both of them featured widely different setlists. 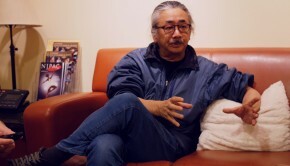 Barring pieces like “Suteki da ne,” “Chocobo Medley 2012” and the ever-popular “One-Winged Angel,” both shows featured entirely different music. The NJPAC was filled to the brim with ecstatic fans. There wasn’t a whole lot of cosplay at either show, but Final Fantasy VIII’s Squall seemed to be the go-to for those who did dress up. The merch booth line was so long I could have sat through several viewings of Eden’s summon animation and still not get anywhere. This was owed to the fact that they were selling the first North American copies of the newly-released Distant Worlds III: More Music from Final Fantasy and a wide selection of main series Final Fantasy soundtracks. The famed composer walked onto the stage, eliciting humongous applause from the audience. Conductor Arnie Roth followed, and as per tradition the Distant Worlds Philharmonic opened with the iconic “Prelude.” Barring a minor snag in the harp’s tempo for a brief moment, the arrangement and the display’s chronicle of all main 14 Final Fantasy titles was a trip down memory lane for me. With that being said, I’m a little torn by how I feel about the concert’s onscreen visuals. In previous interviews, Arnie Roth labeled them as simply “eye candy,” and I agree to an extent. 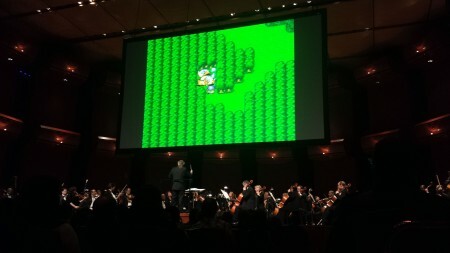 On one hand, they serve as a great visual aid to the music, enhancing the nostalgia one feels as the pieces are played. On the other hand they’re a distraction from the orchestra. Sometimes the audience would laugh at the primitive polygons from Final Fantasy VII, or the simplistic sprite animations from Final Fantasy VI. If Distant Worlds carries on with the visuals, I only hope that they update them to a high-definition resolution and that they better match the video to the music. 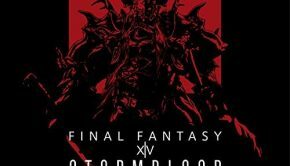 The gameplay footage taken from Final Fantasy XII looked especially grainy, and it wouldn’t hurt to improve the timing of Final Fantasy VIII’s “Liberi Fatali” opening video so that it matches the music to a tee. It’s also a little strange how they’re still not using footage from the English localizations of the games. 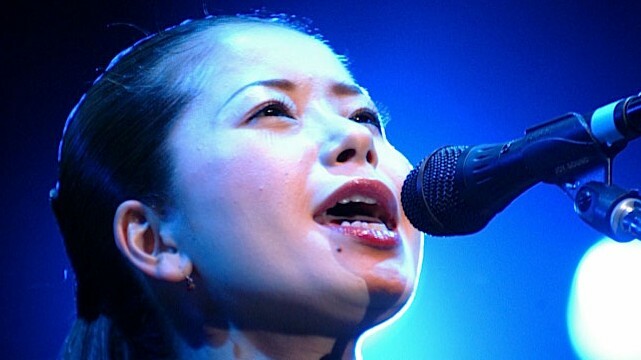 Both concerts marked a very special occasion for Final Fantasy X vocalist RIKKI, whose first North American performance occurred at this concert. She was treated to thunderous applause and cheering, both before and after her lovely vocal performance of “Suteki da ne.” Dressed in a blue kimono, her emotive performance demanded my attention and blew everyone in the audience away. It was a real treat to witness. What ultimately sealed the deal for the 3:00pm show was the orchestra’s incredible performance of Final Fantasy VI’s “Opera.” A narrator took the stage along with three opera singers: two men representing Draco and Ralse, and a woman representing Maria. I admittedly got misty-eyed throughout the entire thing; it hit my emotions like an AuraBolt through the heart. It’s interesting to me, however – the first time I played through the opera scene in Final Fantasy VI, it didn’t impact me the way it did for many other fans. It wasn’t until I started hearing renditions of it by artists like Those Who Fight, Video Game Orchestra and Jake “virt” Kaufman that I finally began to understand its brilliance. The 3:00pm show’s encore was a battle medley featuring Final Fantasy V’s “Clash on the Big Bridge,” Final Fantasy X’s “Fight with Seymour” and Final Fantasy VII’s “Still More Fighting.” While the latter two were handled exceptionally well, I wasn’t 100-percent satisfied with “Clash on the Big Bridge.” I felt that a lot of the interesting transitions were lost in this arrangement. I hope a future arrangement of my favorite tune will more closely mirror Hitoshi Sakimoto’s version from Final Fantasy XII. I had the pleasure of experiencing the 8:00pm show five rows away from the stage in the Orchestra section. The second concert had several remarkable moments. The opening Final Fantasy I & II medley and Final Fantasy VI character medley really struck a chord with me. While the selection of Terra, Kefka, Celes and Locke’s themes were great choices, it would have been great to see even more of FFVI’s numerous character themes represented; Cyan, Setzer and Edgar and Sabin’s themes to be specific. The first show noticeably lacked Final Fantasy IV and IX music, and the second show somewhat satiated that desire. Roth introduced two welcome new arrangements from IX: “Rose of May” and “Festival of the Hunt,” otherwise known as “Hunter’s Chance.” There was also an incredibly talented soloist who performed Final Fantasy V’s “Dear Friends” and IX’s “Vama Alla Flamenco” on classical guitar. I can’t say I was surprised by their pick for Final Fantasy IV. 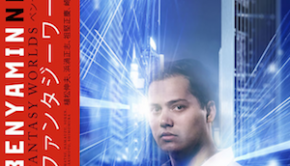 “Theme of Love” is the oft-covered song from the game. A beautiful tune, to be sure, but I really hope pieces like “Red Wings,” “Main Theme,” “Fight 2” and “Mt. Ordeals” get their due someday. My favorite performance of the night had to be Final Fantasy VI’s “Dark World.” Roth invited Uematsu to the stage to provide the backing organ and wind sound effects while Roth played violin and simultaneously guided the orchestra. The original was already incredibly haunting, but to see its creator performing it onstage with an orchestra was on a whole other level of chill-induced euphoria. I feel incredibly lucky to have experienced two Final Fantasy concerts in the same day. In the future, I only hope to see a larger representation of Final Fantasy IV and V. I wouldn’t even mind if they went outside the box a bit and shook things up with some music from Final Fantasy: Mystic Quest and Final Fantasy Tactics. An Earthbound Papas x Distant Worlds concert wouldn’t hurt, either, but that’s wishful thinking. Posted on March 2, 2015 by Patrick Kulikowski. Last modified on July 8, 2015.